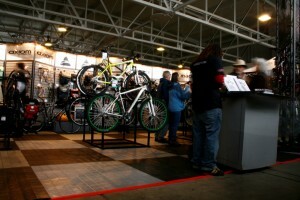 The webpage for the Cascade Bicycle Club reads: « Largest bicycle consumer show in the United States, » and frankly we would be remiss if we didn’t attend – so we will. If you are in the Seattle area or even a bit out of the area and up for a drive, or more fittingly a ride, then come and check out the Seattle Bicycle Expo this Saturday and Sunday at the Smith Cove Cruise Terminal 91. There is a lot to see and as always you can expect some pretty cool gear to be on display not to mention great people to talk too -we’ll be there after all. Anyway, hope to see you there!